Gramophone: Editor's Choice; Penguin Guide 3 stars. This is, quite simply, a real find. 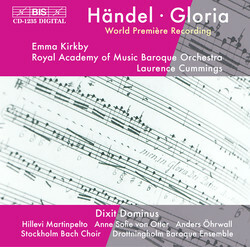 Händel's "new" Gloria – discovered in the library of the Royal Academy of Music proves to be a work of true substance written for a coloratura soprano of the utmost brilliance and alternating very rapid and "flashy" passages with slower, heartfelt sections as befits the changes of mood of the liturgical text. Emma Kirkby rises magnificently to the challenge with her combination of vocal virtuosity and musical intelligence, to which she adds her inimitable communicative skills. She is vigorously supported by the Royal Academy's own – excellent - baroque orchestra conducted by Laurence Cummings who is head of historical performance at the Academy (as well as pursuing a very successful performing career). This wonderful performance of a "new" jewel in Händel's crown leaves the listener elated, if slightly out of breath! 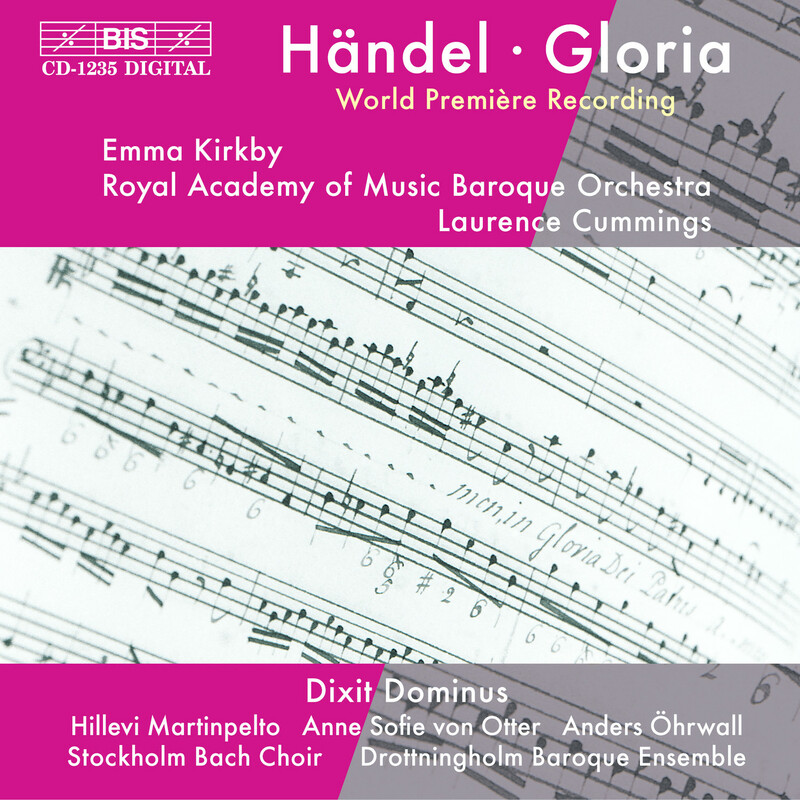 The"new" Gloria is supported on the disc by a famed performance of Händel's Dixit Dominus with no less a star than Anne Sofie von Otter singing the alto part and with the redoutable Drottningholm Baroque Ensemble.